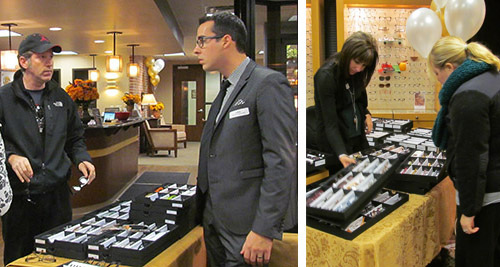 Special thanks to all who attended our Fall Trunk Show on November 13. 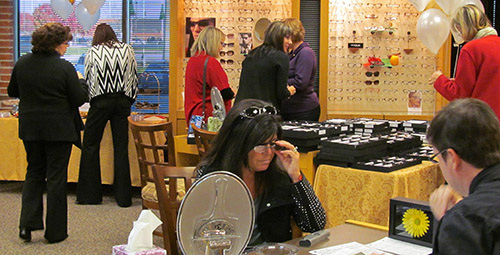 30% - 40% - 50% and even 100% Savings Certificates were offered toward the purchase of the Eyeglass Frame. It was a Fun event, with a Wonderful turnout, and was Great Opportunity to meet directly with Eye Glass Frame Representatives from Top Designers! 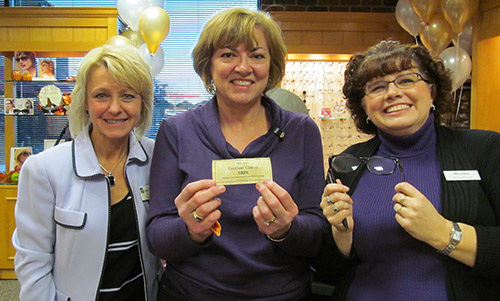 Maureen found the Certificate for 100% Savings on a Frame Purchase! Congrats! 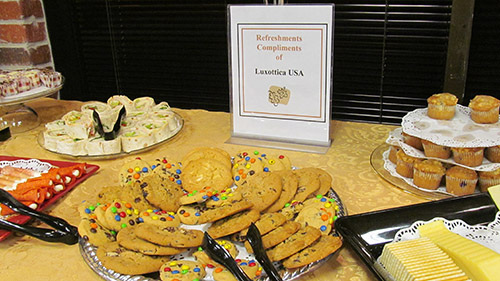 Luxottica, Inc. Graciously Sponsored the Refreshments and Beverages.